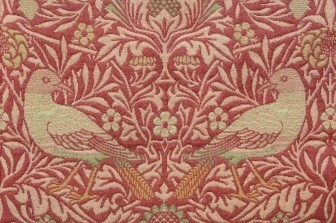 William Morris has attracted attention from dozens of biographers and memoirists since his death in 1896. How have depictions of Morris been shaped by culture, politics, and the conventions of life writing? 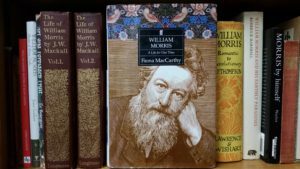 This talk will place Morris biographies from J. W. Mackail’s two-volume Victorian “life and letters” to Fiona MacCarthy’s “definitive” work of the 1990s in a broad context and will consider the future of Morris biography. Michael Robertson, Professor of English at The College of New Jersey, is an Honorary Research Fellow at Birkbeck, University of London. A member of the governing board of the U.S. William Morris Society, he is author, most recently, of The Last Utopians: Four Late Nineteenth-Century Visionaries and Their Legacy, a group biography of William Morris and three contemporaries. His current book project is a biography of Morris.